As you begin working in the CRM, you start getting prompts and short comments on the system use (available to CRM administrators only). 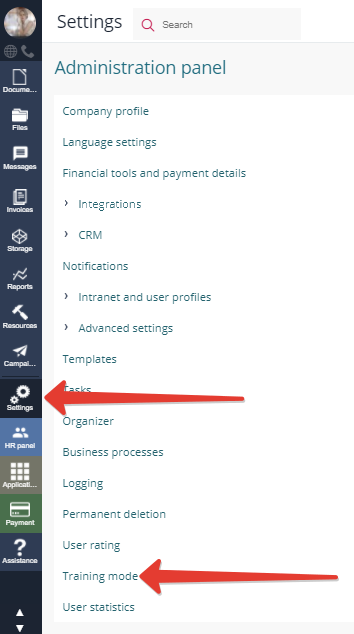 This contributes to the correct introduction and deployment of APRO CRM in your company. When your trial period expires, the training mode is deactivated automatically. You can also disable/enable the training mode in the administration panel. We do not recommend deactivating the training mode before the trial period of 14 days expires.